The GREAT Wall of Dreams! Tony Lucadello’s concept of a 4’x4’ concrete wall in every kid’s back yard is based on the same principle of having a basketball hoop available for youngsters. The wall would provide a viable opportunity for a youth to just go outside and throw the ball against the wall in order to develop his/her baseball fundamentals without needing any adult or other person. Just throwing the ball and fielding it will lead to self exploration and empower a player to learn that the game is played, physically, below the waist, and that one needs to repeat the drills in order that the mechanics become second nature. The last and most important stage of learning is repetition…over and over again and again! If a wall was not affordable, Tony recommended that a player use the garage door, wood fence, the school yard’s concrete walls, or other; today one could utilize various throwbacks that are prevalent in the marketplace. The Lucadello Plan explained how to build the Wall as well as how to practice with it. The basis of his Plan was to instill the value of building arm strength, increasing reaction time, improving footwork, developing an accurate throwing motion, and learning the value and art of visualization. His Plan had six basic principles: 1. Learn to position your feet for groundballs. 2. Keep head and glove down. 3. Grip the ball cross-seamed(4-seam). 4. Throw with a strong over-the-top delivery. 5. Take 100 groundballs every day. 6. Play with enthusiasm. Moreover, he encouraged each player to take 50 swings per day and if possible have someone(Dad?/mom?) throw him/her 50 plastic golf balls/whiffles to hit. These swings, along with the 100 groundballs and 100 throws(to create the grounders), would establish the Wall as the perfect environment for developing the work ethic and repetitions needed to become a solid player. It would take less than an hour! The Lucadello Wall and Plan are very simplistic opportunities for youth who really want to learn the game and develop the skill sets to GET GOOD! If the Wall is there, they will find it! If a youngster thinks that the Wall is boring, then it is not their “Wall of Dreams” or passion. However, if the love and the passion of the game is real, the youngster(s) will go to the wall and work without complaint and figure out the proper mechanics of throwing and fielding with accuracy, and will develop arm strength, endurance, and success on the diamond. The Wall itself may be used for practicing other sport skill sets..only one’s creativity will delimit the usage. Moreover, a player can play “wall ball”, tape a target on it for improving accuracy, do the “hat in the mouth” defensive drill, practice on one’s knees(pad or grass) keeping the ball in front of the body/eyes, throw a golf ball gently to work on faster grounders, use a reaction ball or other “odd ones” etc., or just throw at various distances to stretch out the arm and its muscle groups. Again, all these can be done without pressure, fear of failure, and can become a regular time to release stress and learn the basic mechanics of the greatest game!! Thanks Tony, for the “Wall of Dreams”!! Hopefully, young players will heed the call and get to it. Not just for getting the baseball mechanics down, but for the love of the game, and the lessons of life that baseball teaches!!! GAGPTH! YBON! KWTP! This entry was posted in Fielding, Handouts & Drills, Throwing on October 16, 2014 by admin. Infield play, especially up the middle(keystone), is very important and is an aggressive arena to enter. Infielders must WANT the ball hit to them, and then must make the correct play. The key is to be ready and expect the ball to be hit to YOU. “Be quick, but do not hurry!’ is the maxim and it is key to secure the ball, get a grip and throw it so your teammate can catch it!! Baseball is WE not ME, and in the infield, all players must play as one highly organized team!! 1. KNOW the situation prior to each pitch. Prepare your mind so you know what to do if you get the ball(and YOU want it): number of outs, men on?, where to go, etc. Begin in the Perfect Fielding Position(PFC—athletic position with glove out in front, pocket OPEN wide) and review your mental check list between pitches. Assume the ball is going to be hit to YOU!! Remember: Ball, Base, Backup(B3). 2. 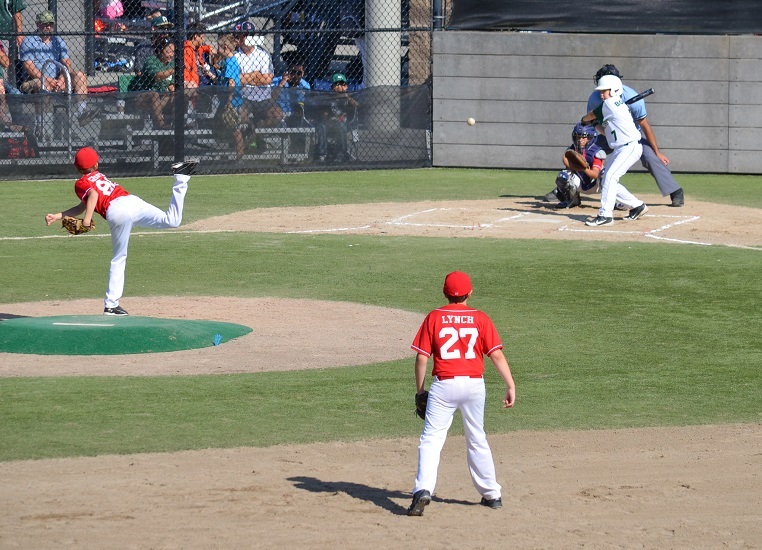 As the pitcher is in his motion, begin to “creep” towards the plate so you are in motion to the ball as he pitches. You can react faster if you are already moving when the ball is hit. 3. Go Get It!!! Get to the ball as quick as possible…the quicker you get to it, the “slower” the runner will be! Be sure to get IN FRONT of the ball with your entire body when possible. Stay low and go…start with the glove down to the ground as it will be easier to just come up if the rather than to go down and get it. Do not wait for the ball or stand up…Go LOW!! 4. Count the hops: Mentally count the hops and this will keep a keen focus on the ball. Do it in practice and the games. 5. Stay low with your glove outstretched with elbow relaxed. ALWAYS field from the ground up. LOW!!!!!!! 6. Move THROUGH the ball as you field it…do not stop moving your feet!! 7. As you field the ball, get your feet “under” you as you prepare to throw with a slight turn…this will maintain balance. 8. ALWAYS throw with a four(4)-seam grip. As you field the ball, cross over with your feet, while getting a 4-seam grip. Practice this over and over!! 9. FOLLOW the ball!!! As you release the ball, follow the ball; this will give you more power and insure that you throw with your CORE and not just your arm. If you do not follow it you will only be using 10-20% of your potential velocity. Lead with your glove and shoulder to the target. 10. Your throws should NEVER be higher than your height and actually should be 5-6” shorter than your height. THROW and FOLLOW! If you do not get the ball, cover a base and if all are covered, back up somewhere…Do NOT stand there! This entry was posted in Fielding, Handouts & Drills on June 30, 2014 by admin. 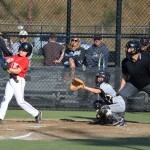 Outfield play is a very important part of defensive baseball, especially in youth ball. It requires full concentration, “sprint-hustle”, good hands, and quick reactions. Getting the ball back into the infield will stop runs, advancing runners, and get an occasional “hustle out”. The key is to anticipate with each play and get to the ball immediately!! 1. Get a good jump on every ball! Go on contact and charge it! 2. Anticipate the play: Know the situation and what YOU need to do. 3. Watch the ball into the glove on each play, fly or grounder(head down). 4. Catch the ball on the throwing arm side so that you can “unload” quickly. 5. Quick release of the ball: NEVER hold it! Get it in NOW! 6. Throw with a four seam and take a crow-hop to get more power. 7. Throw the ball down(not up) and hit the cutoff in the chest..keep it low. 8. Block all groundballs with your body. Take them on the full run and throw and follow. 9. First step BACK on a fly ball. NO drifting to it..sprint! 10. Ball over head: “Open” to the ball side and sprint. Do not put glove out til last three(3) steps or so. 11. HIT the CUTOFF MAN!!!!!!! 12. Call ALL balls you can get to: Be sure it is yours! 13. Backup the other outfielders and bases. 14. Center field goes in front on ALL balls and the ball is his if he calls it. 15. Communicate with others: Call off the infielder if you can get to it! 16. Lay out only on “arcing” balls that you CAN catch. Block line drives. 17. Always try to catch a ball moving forward. 18. If a fence: Go to the fence first and then to the ball! 19. If a ball is headed by you, take an angle to it..do not chase it! 20. Use TWO hands to catch all balls!!! 2. Work on foot work: Open to the ball side. Sprint back. 3. Hit the CUTOFF: Cap high is a good rule/through the cut. 4. Play log toss and build arm strength. RUN, RUN!!!!!!!! 5. Take flyballs and work on technique: Catch and release, moving forward. The last lesson of learning is said to be repetition. In all endeavors of learning one must prepare by repeating certain drills and actions in order to master the skill/skill sets. 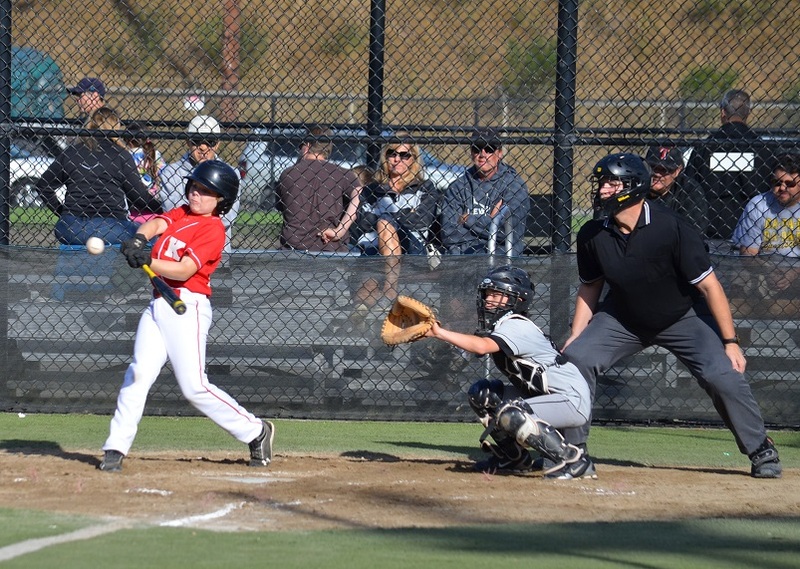 Baseball is both a physical and mental game that requires an extraordinary amount of practice in order to master the game, as well as to maximize the fun. Many young players will just play and practice when the team meets or their father/mother, et al will “play with them”…generally, this will not suffice and the player will become frustrated and lose the motivation to play the game. The passionate and committed player will work hard to develop proper “muscle memory” and the skill sets needed to prepare him/her for success on the diamond. Below are the simplest drills that can be utilized to improve hand-eye coordination and to practice without anyone else being involved. GET GOOD!!!! 1. Throw the ball against a wall, tree, or other. Use the 4-seam grip. 2. Throw the ball up in the air and catch it. Helps with both throwing and catching. 3. Flick the ball, wrist only. Against a wall or barrier. Move wrist only. 4. Use a small towel to practice the 9-12-6 and follow throw portions of proper throwing/pitching mechanics. Reach out and snap it to exaggerate the correct motion. 5. Find a large mirror(usually full length in Mom’s room) and breakdown the mechanics of throwing/pitching while watching in the mirror. 6. Use a wall or fence and practice the mechanics without hitting the wall/fence. 7. Do balance and agility drills. Do balance point pitching drills. 8. Put targets on the wall or other barrier and throw/pitch. Create your own game and goals. Record your results. Use different sized targets to improve focus and accuracy. 9. Do hand, wrist and forearm strength drills…”squeezie balls”, rice and hand stretches, roll-ups, pushups(all the various types), etc. 10. Work on visualization drills and simple vision drills to increase focus. 11. Run and work on your CORE exercises. Stretch your am!!!! 1. Use a full length mirror to view your hit mechanics and stance/load. 2. Outside in an open area: Take your bat and waffle ball/light flite/etc. ball and simply throw the ball in the air and swing at it! Focus on “hands inside” and watching the ball. Shag it yourself! 3. Do the Hit Progression Drill at least 3-4 times per week perfectly! 4. Do the “Shadow Drill” outside. Take your bat, assume the proper load position, and then find something 45-50 feet away. Visualize that object as the pitcher. Focus on the pitcher releasing the ball and you hitting it for a good solid base hit. NEVER Make an out…always see the ball go in the gap for a double or more! 5. Do hand, wrist, and forearm strength drills and repetitions. See Pitch/throw. 6. Take 20-25 swings per day. Start with simple, perfect swings and finish with hard, quick ones. Focus on “hands inside” and the perfect follow through. 7. Make a simple tee and hit waffle balls into a net or hanging sheet. Use different size balls. 9. Run and work on your CORE exercises. 10. Read baseball books on the great hitters and their “secrets”! 1. Play catch with a wall or tree. ALWAYS 4-seams!!! 2. Throw the ball up in the air and catch it. Straight up and also, throw and go get it! 3. Throw/roll a ball up hill and then go get it! Work on proper fielding mechanics. 4. Set up a target, field a ball, and throw to the target on the move. 5. Do glove drills to increase your “soft hands” and ability to glove any ball. 6. Use a “reaction ball”(sporting goods stores have a variety of choices) and do the repetitions. 7. Do stretching exercises and cross over running drills. 8. Play the “Card Toss” or “Flip” game. 9. Do finger-tip push ups to increase hand strength…also, “squeezie” balls, etc. 10. Watch professional players field the ball…grounders, pop ups, fly balls. This entry was posted in Fielding, General Information, Hitting, Pitching, Throwing on September 4, 2013 by admin. To many, fielding(playing defense) is just the time you spend waiting to hit! Hitting is the essence of baseball but few teams win if the cannot field and play good defense. It is VERY important to learn how to catch and field a ball for both team defensive purposes and player safety. Fielding is essentially catching and throwing a ball. A player will be a success once he/she masters the fundamentals of fielding a ball. 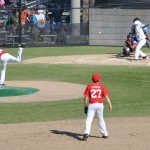 As with hitting and pitching/throwing, a player MUST develop and practice proper techniques and skill sets. Repetition of proper mechanics will lead to fielding success which will create confidence and develop self esteem. A player MUST be patient, work hard, and learn to “pick it” in order to be a good all around team player. NOTE: Keep your EYES on the ball at ALL times on defense! PRACTICE YOUR “FUNDIES”!! Fundamentals!! Practice taking groundballs…on all surfaces and from all directions. Practice against a wall, bounce back, or with another player. Take MORE grounders!!! You must want the ball and charge each and every one; get to the ball before the “bad hop”. VISUALIZE!! For further information call Coach Phil(866)405-2307 or email phrog38@hotmail.com Visit firstswingcamps.com for training aids, camps, and more! This entry was posted in Fielding on March 8, 2013 by admin.